God’s desire is for His love to be revealed through His church. The church is a group of real people with real problems who profess their faith in Jesus and seek to experience more of God’s real love. But it’s not enough to say we’re real; real faith is something that can be seen. Have you met someone who gives themselves a label (i.e., Christian, faithful spouse, engaged parent, ethical employee, moral student), but their actions do not consistently reflect the label they proudly boast? If their actions don’t consistently line up with the professed label, do you believe what they say? As the adage goes, “actions speak louder than words.” This doesn’t mean our words don’t matter, but declares that our actions and words should be communicating the same message. This week we will discuss the significance of being real with ourselves, others, and God. Honesty and courage to admit thoughts, doubts, and problems are necessary to be real. Realness requires vulnerability. Realness produces change. Change can be seen by others. The 19th century evangelist D.L. Moody wrote, “Out of 100 men, one will read the Bible, the other 99 will read the Christian.” This is an encouraging, alarming, and frightening truth. Our actions, intentional or not, tell people a lot about our values and our God. 1. There are many real problems in the world. Which ones do you shy away from talking about? Has there been an opportunity when you’ve been in conversation (or within earshot of a conversation) on a hot cultural topic, and you shied away from it because you feared your opinion as a Christian would not be popular? Alternatively, if you shied away because you didn’t know what to say, did you ask God and dig into the scriptures so that next time such an opportunity arises you would be more prepared? 2. If you’re a Christ follower, have you experienced growth and change since you began seeing God for who He is and realizing what He has done? Specifically, how so? What growth have you experienced this year? 3. Read Matthew 7:15-20. How’s your fruit? Do you sincerely believe other people recognize your fruit? 4. Read James 1:22-25. Isn’t it easy to fool ourselves, but challenging to fool others? How do you fool yourself? Can we commit to be real with ourselves? If we do, then we’ll naturally be real with others so we share in word and deed a real faith. For deeper study, as an alternative to the questions above, read Matthew 7:15-20 and James 1:22-25 and use the Discovery Bible Method to explore how to be authentic in our relationships and our faith. Think of a real problem you regularly face or recently faced. How does this problem hinder or help your interaction with others? In your group, ask your partners to share a real problem they regularly face or recently faced. How does this problem hinder or help their interaction with others? Commit to praying for your small group and Faith Promise as a whole. 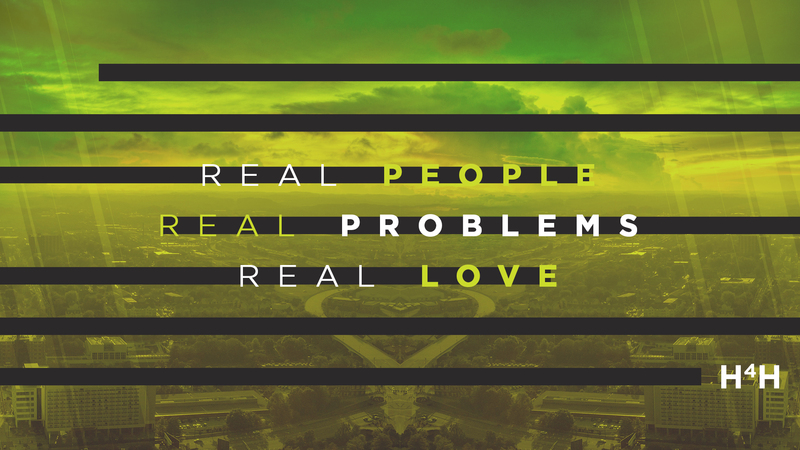 Pray that we will bravely embrace the fact that we are real people with real problems seeking to know a real love. Pray that we will model authentic faith for those around us. Do you serve? Do we have any local missions or areas in which you might be able to serve that will help you better define whom you are called to become in Jesus? This week as you pray each morning, ask God to help you be authentic when you encounter real problems in your community. Ask Him to show you how you can be part of His plan of restoration in the world, beginning in your own neighborhood. Do you know people who have moved to this area from other countries? Open a conversation with them about what they enjoy about living here and what problems they see in this area. Are the problems we experience here different than those in their homeland? Share with them how you believe God can work all things for good for those who believe (Romans 8:28). Do you know someone who longs for real, authentic relationships? Are they connected to a body of believers? Invite them to your small group or ask them to join you at church on Sunday. For the Discussion Starter, be careful that the discussion does not descend into gossip. We can share negative experiences and learn from them without sharing names. 2. Strongly encourage group members to develop a spiritual growth plan if they do not have one. Here are some resources for creating a spiritual growth plan from Pastor Chris’s first book: growth plan worksheets. For a shorter plan see this: one page spiritual growth plan. Previous PostPrevious Heart for the Harvest 2017 Begins This Weekend!